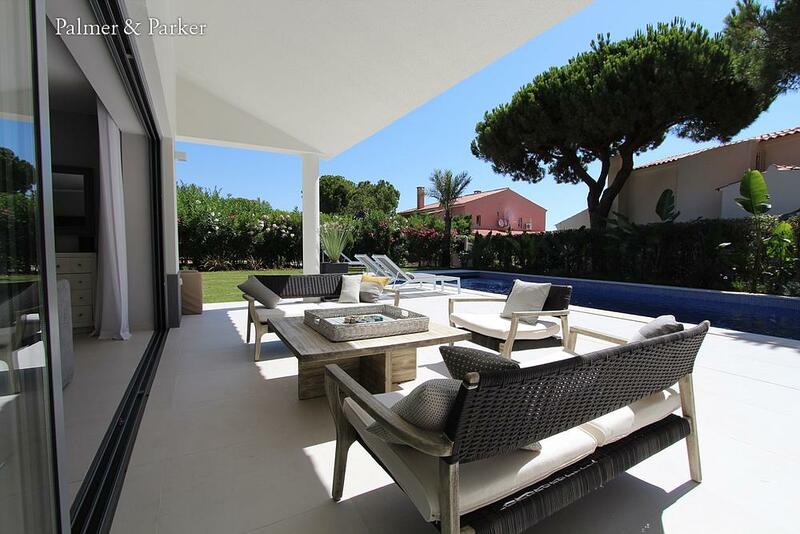 In a good location close to the entrance to Vale do Lobo, this house has recently been completely refurbished to a high standard. 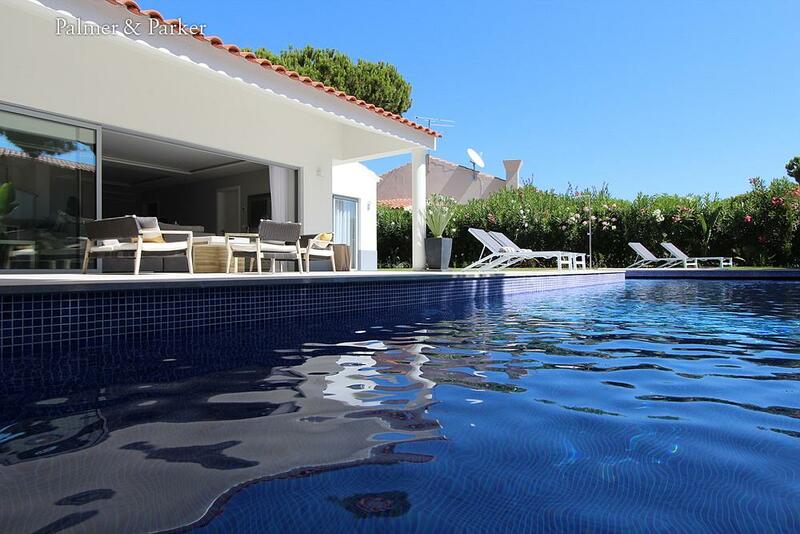 Complete with a large private pool, air conditioning throughout, wifi internet, good sized garden and barbecue area. Conveniently located with the local Tennis club, bus stop and nearest supermarket all within 10 minutes walk. 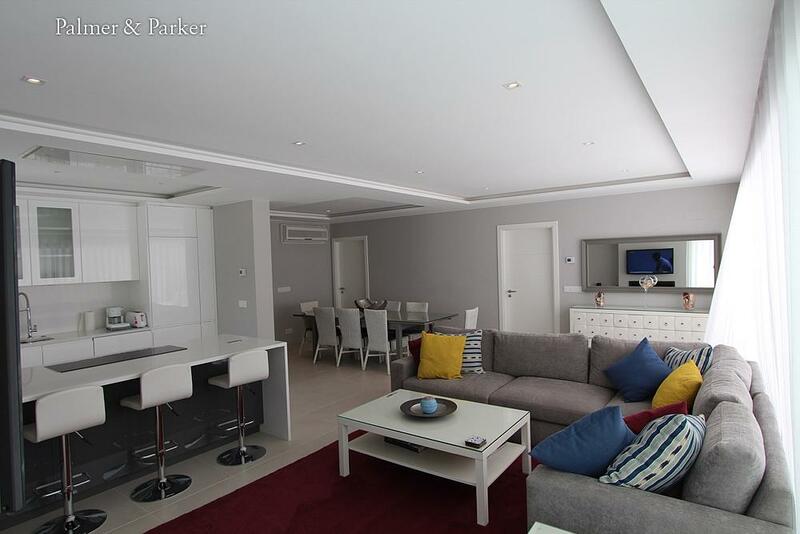 Entering the house from the private drive, you find yourself in a modern, well-furnished, open plan living and dining area with full height sliding doors leading through to the pool and garden. 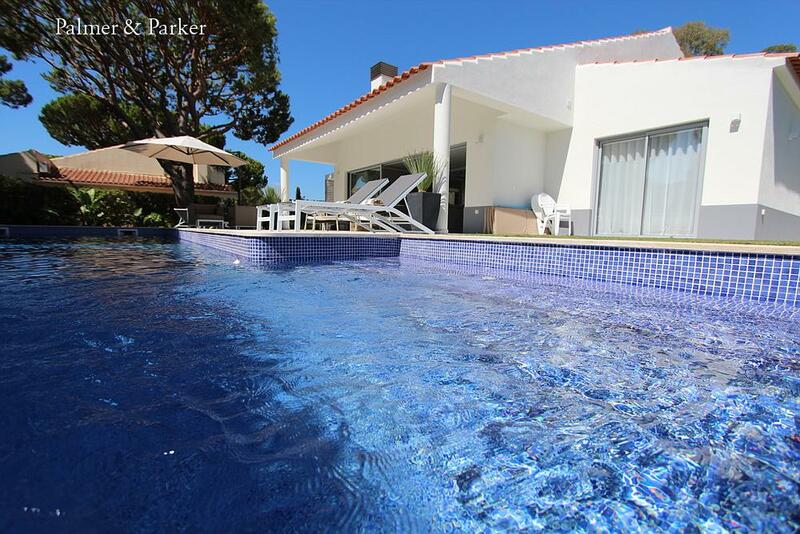 Â The ground floor has three bedrooms: the master bedroom is upstairs. Living room: with large TV (cable channels giving UK stations), large corner sofa and coffee table. Open plan with indoor dining area. 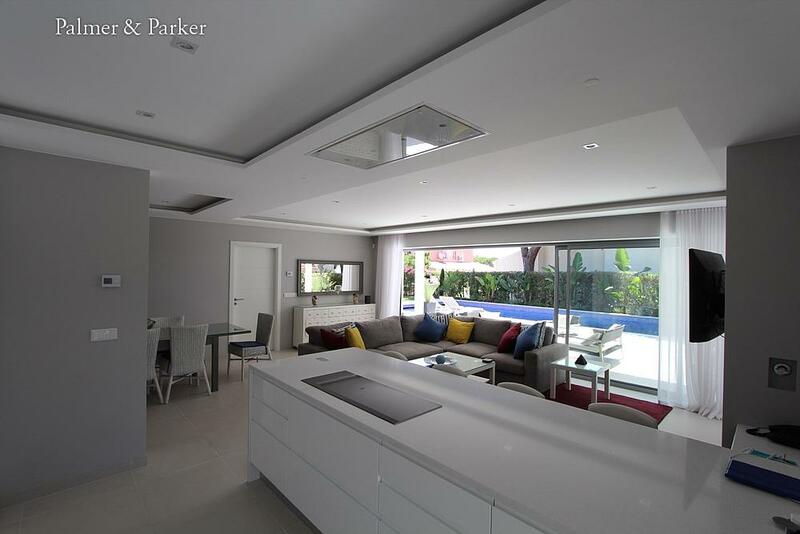 Sliding patio doors lead to the pool and dining terrace. 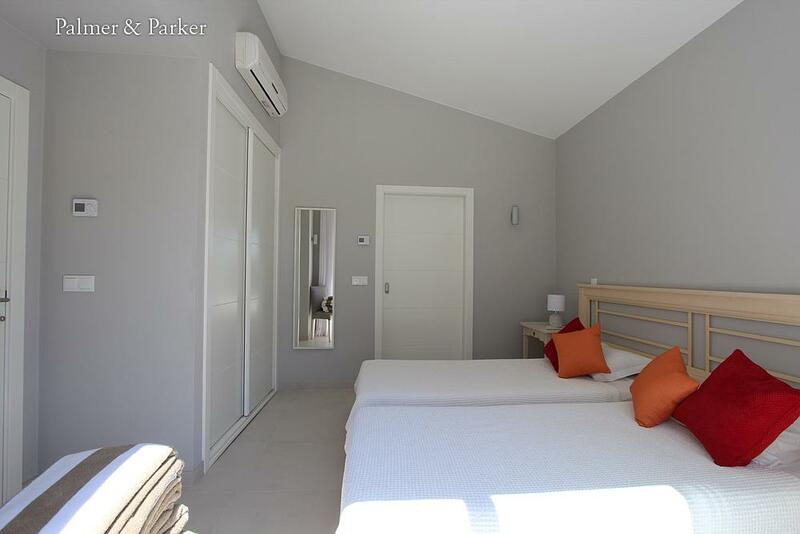 Bedroom one: twin beds, en suite shower room with monsoon head, sliding doors to the pool terrace. Bedroom three: twin beds, en suite shower room with walk in shower, sliding door to pool terrace. Kitchen area: modern and light, open plan to living room and dining room, fully equipped with dishwasher, coffee machine, oven, microwave and induction hob. Master bedroom: king-size bed, with window to one side and private balcony to the other, overlooking the pool. 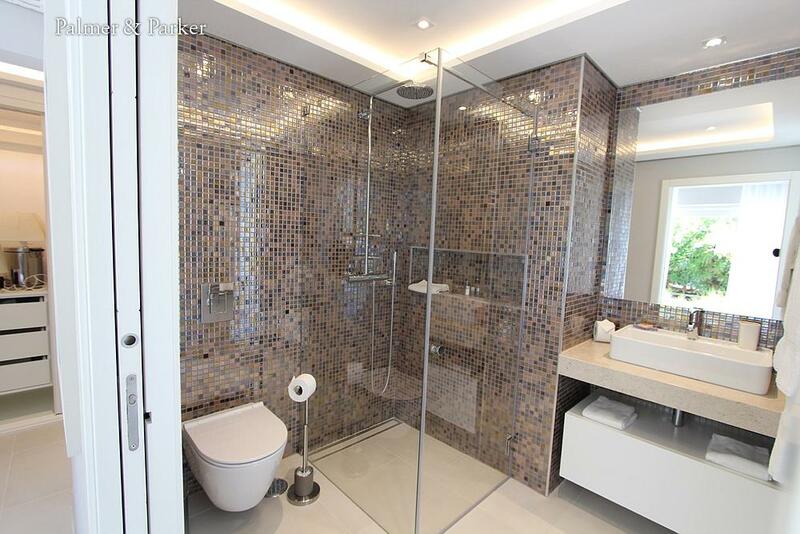 En suite bathroom: oval, freestanding bathtub and walk in shower. Swimming pool: 8m x 4m approximately, with steps. 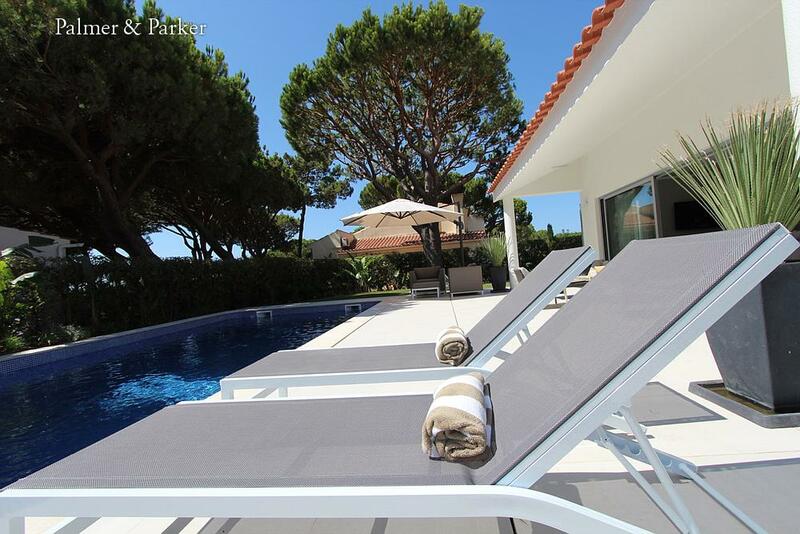 6 loungers, large umbrellas, shower. Covered outdoor lounge: comfortable seating with further lounging on two cushioned rattan armchairs with a large umbrella. 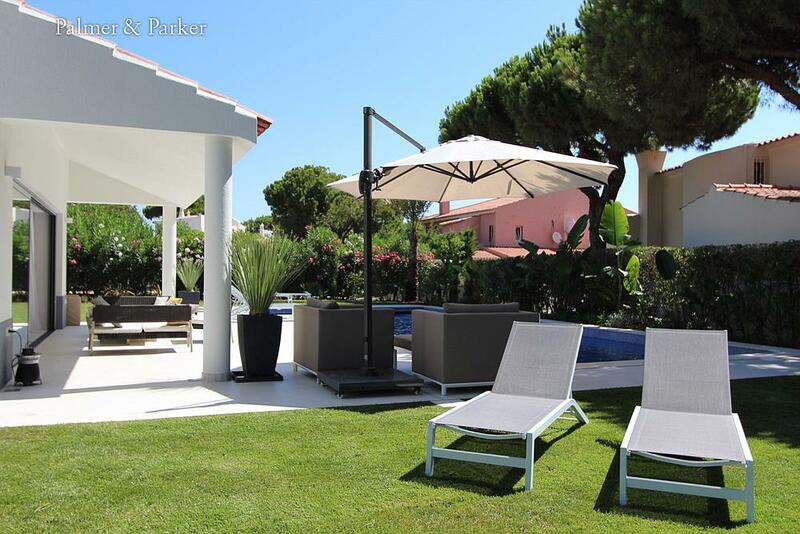 The lawned garden surrounds the pool, with mature shrubs and bushes for additional privacy.